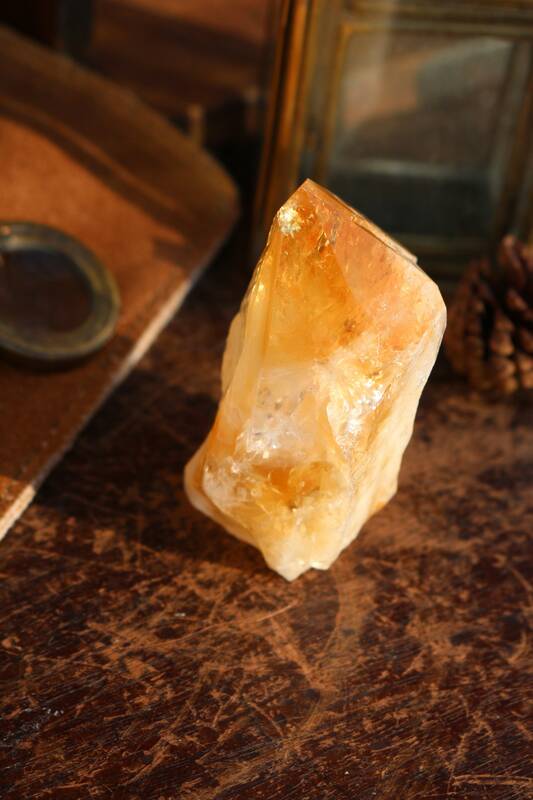 From Uruguay, a stunning, self-standing Citrine Point, with colors ranging from light, golden yellow which darkens into a deeper orange color that has happy, rainbow refractions throughout. 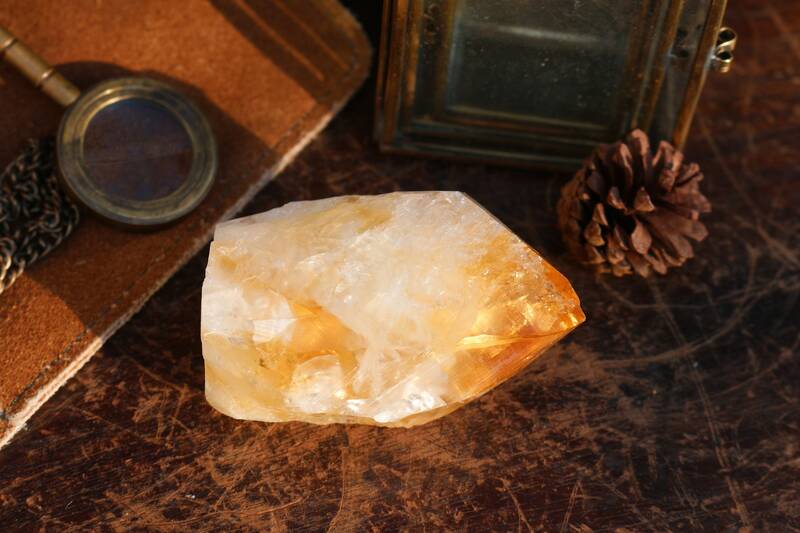 With its natural raw sides that are so smooth up to its natural six-sided polished tip. So striking on its own! 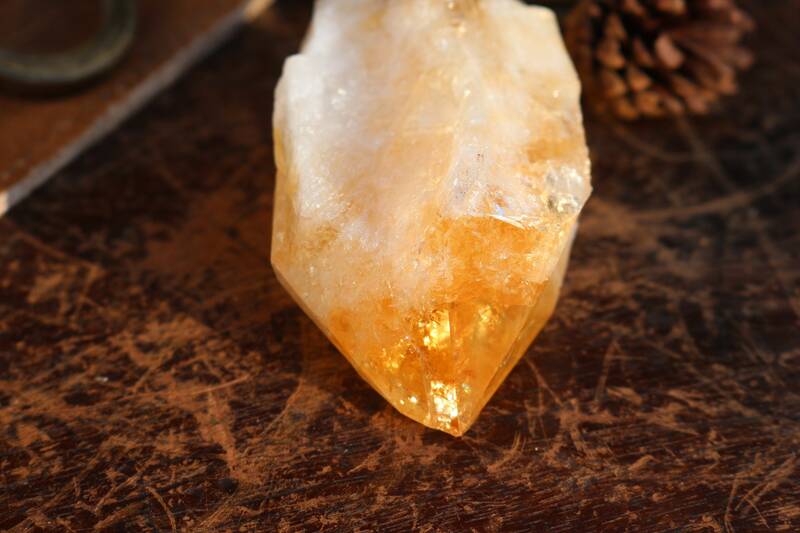 Citrine is a stone of light and happiness. 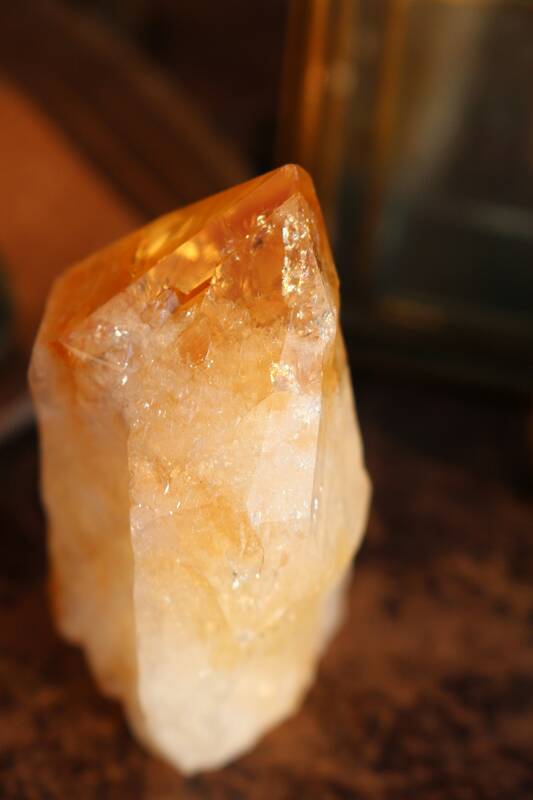 It does not hold any negative energy and therefore never needs to be cleansed. 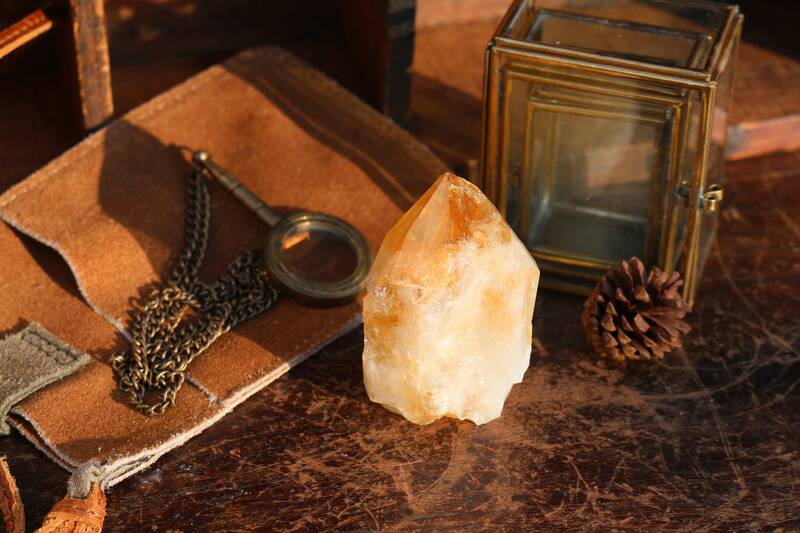 It brings clarity to those who wear it (as jewelry or carrying in your pant pocket) and helps to manifest anything you want to bring into your life. It activates your imagination, bringing more creative visions to a clearer mind and a more positive outlook on life. 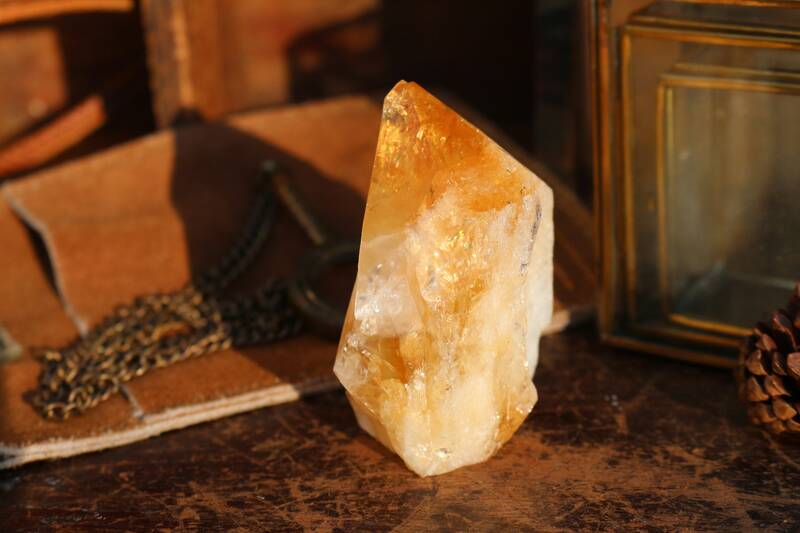 Powered by the Sun, Citrine warms, cleanses and energizes the body, stimulating and strengthening the solar plexus.